Educate!’s Rwanda Country Director Moderates at YouthConnekt Summit 2017 — Educate! | Preparing youth in Africa with the skills to succeed in today’s economy. 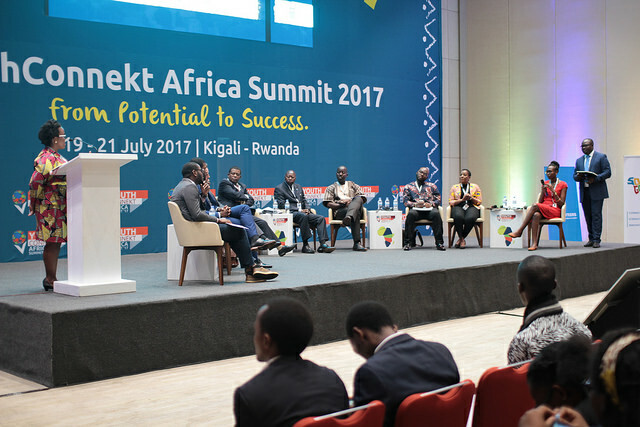 The YouthConnekt Africa Summit is Rwanda's largest youth and entrepreneurship conference. Hosted by Rwandan President Paul Kagame, the conference is a platform for all partners involved in youth development to synergize around policies, programs, and partnerships that help unleash Africa’s youth potential. Donnalee Donaldson, Educate!’s Rwanda Country Director, joined government officials, stakeholders and policy-makers at the event as a moderator for the panel, Youth Driving Sustainable Development Goals (SDGs), which explored how to connect young, high-achieving entrepreneurs with policy makers in order to drive SDGs forward.